Delft Pill Box -- 4 inch diameter -- Large - Souvenirs - The Dutch Shop LLC your store for Dutch groceries. 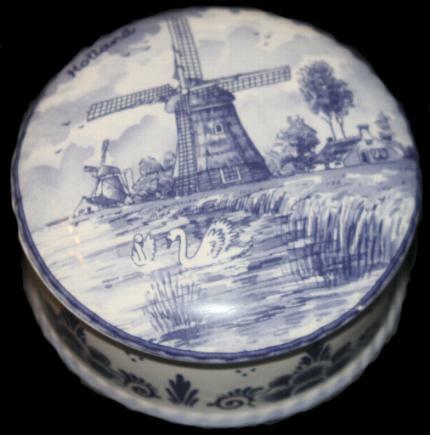 Delft Pill Box. Would work nicely for a small jewelery box or even to hold loose change. 4 inch diameter.